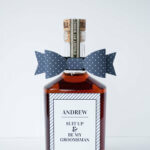 Want to make a cheerful and sentimental DIY wedding gift? 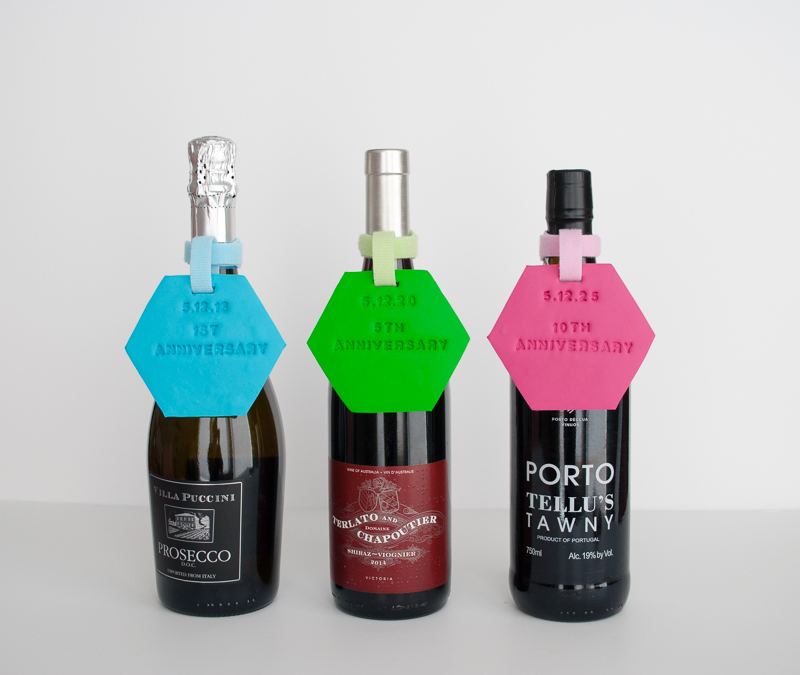 Stock the newlywed’s wine fridge with bottles to enjoy together on their future anniversaries. 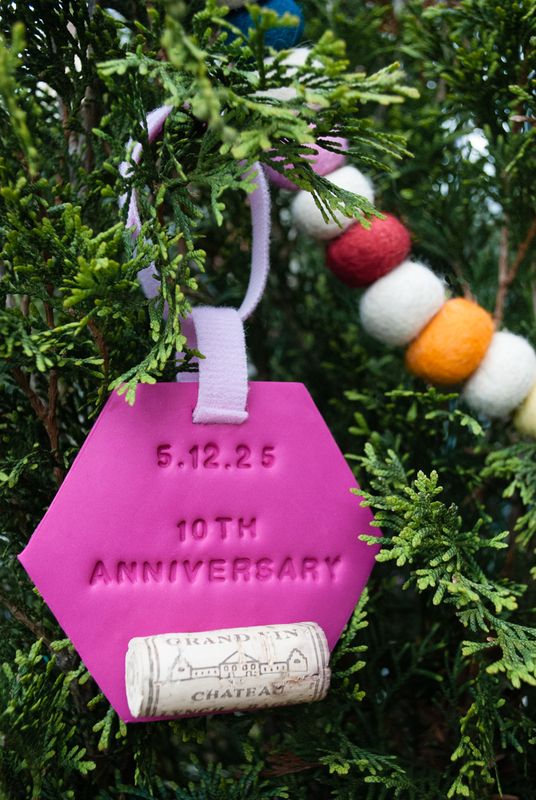 The wine bottles are colorfully labeled with handmade tags that transform into Christmas ornament keepsakes after each anniversary. Just attach the corks using VELCRO® Brand fasteners after your toast and voila! 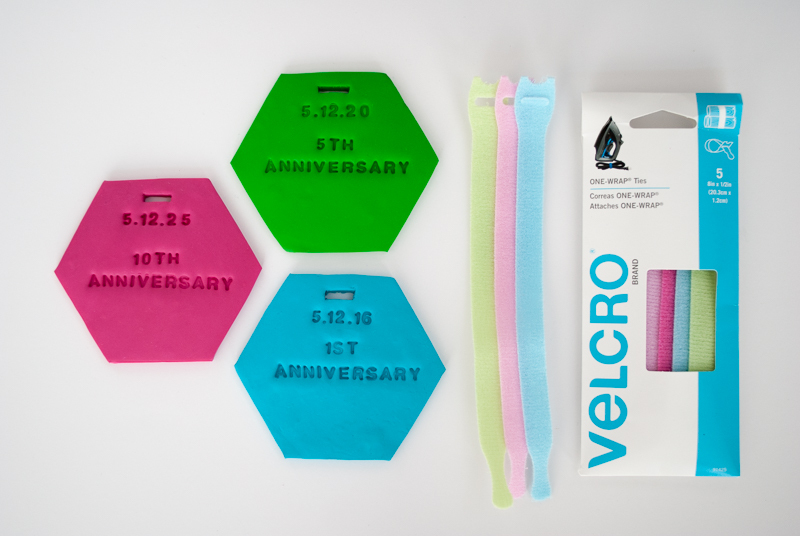 This is the third of four projects that I made for the Amazing Connections™ Official Velcro Company Blog as part of a wedding series that shows how to use VELCRO® Brand fasteners to add simple and clever personal touches to your big day. 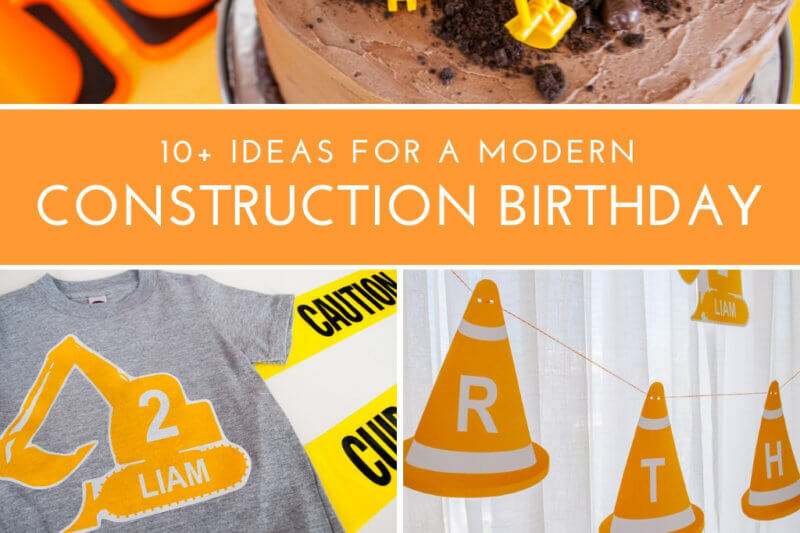 You can also see my easy DIY photo centerpieces for weddings and bridal showers, DIY ‘Will You Be My Groomsman’ and ‘Will You Be My Bridesmaid” gifts, and best wishes DIY photo booth backdrop with emojis. You all know that I am obsessed with VELCRO® Brand fasteners. 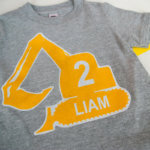 Their products make it so easy to attach and re-attach things and I want to thank them for letting me share this project with you. I only work with brands that I use and love. 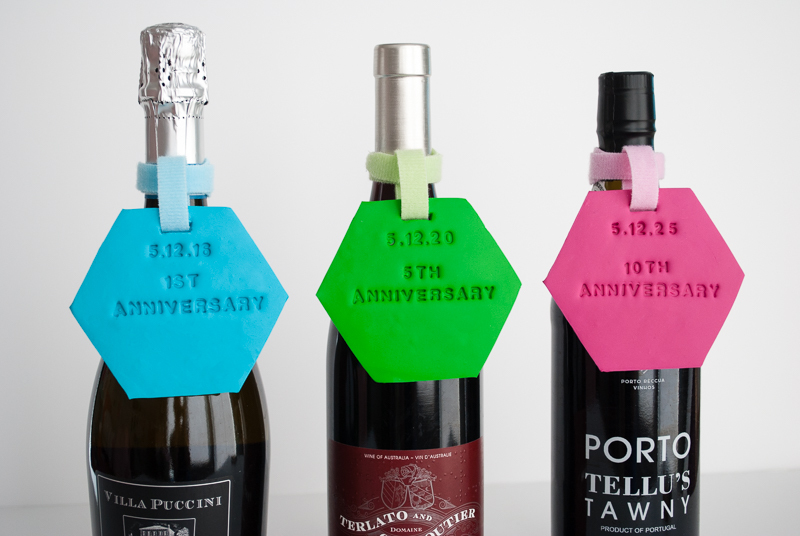 So back to this DIY wine gift …what do you think? 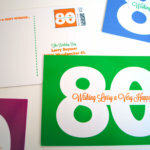 I love it because couples can enjoy the wedding gift together for years to come. 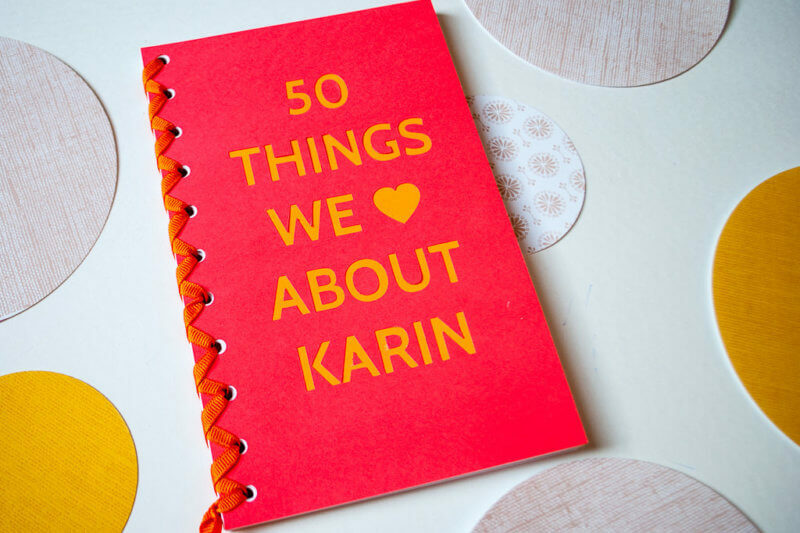 It’s thoughtful and personal. 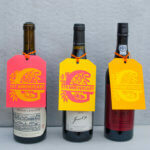 And it’s budget-friendly because you can make as many tagged wine bottles as you like. 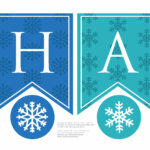 Make the tags first – you can see how to make the tags here and get a free hexagon template. 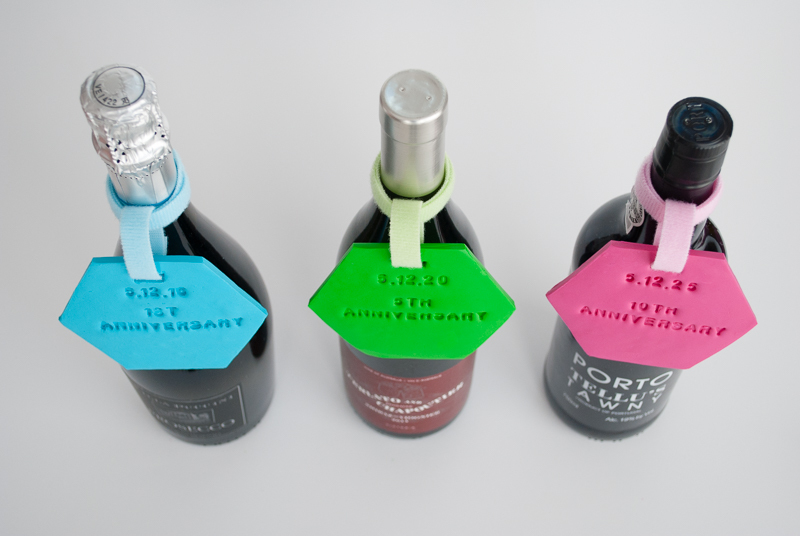 Then attach tags to each wine bottle using colorful VELCRO® Brand ONE-WRAP® Ties. 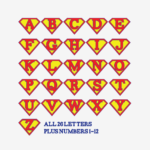 The ties come in a bunch of different colors like red, orange, purple, black, green, white; I chose the Brights set with has a mix of pastel colors. 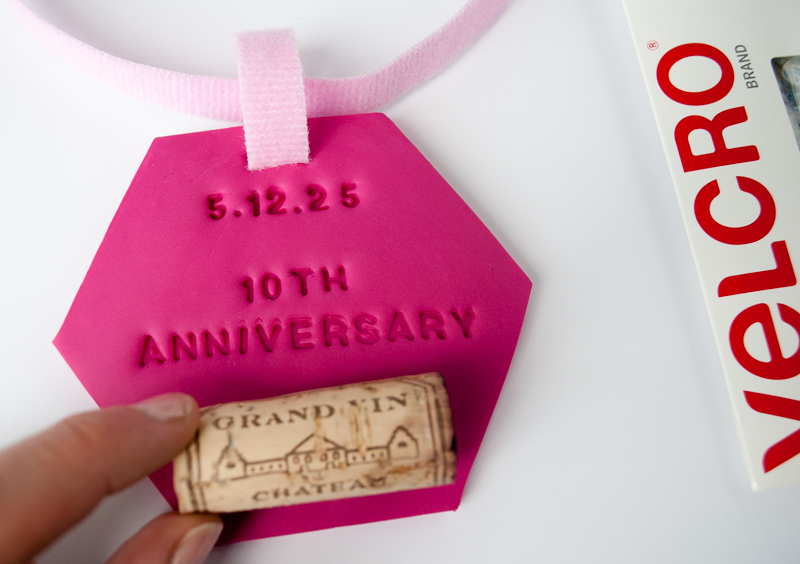 Be sure to keep your cork after each anniversary toast! Attach saved corks to tags using VELCRO® Brand Thin Fasteners and hang them on the Christmas tree with the VELCRO® Brand ONE-WRAP® Ties. 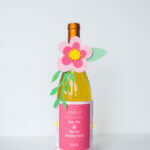 Ready to make this keepsake wine tags wedding gift? 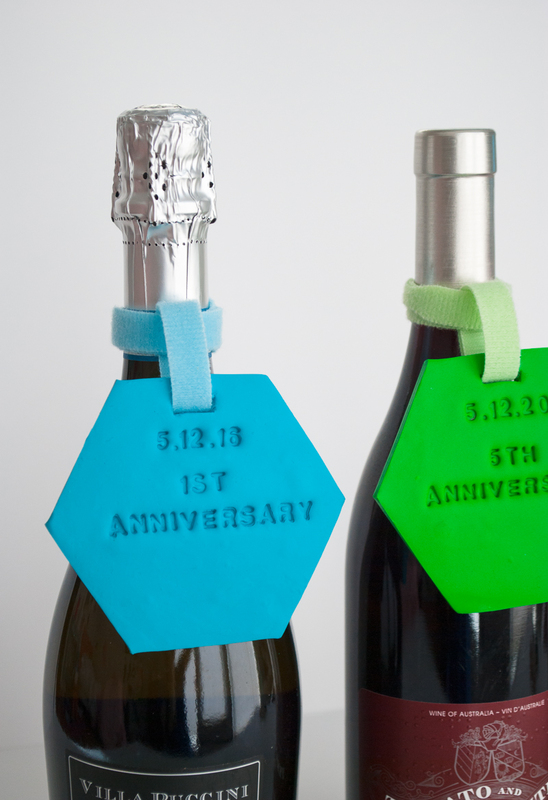 Head on over to the Amazing Connections™ Official Velcro Company Blog for the free printable hexagon wine tag template and step-by-step instructions on how to make this DIY wedding gift using adjustable and removable VELCRO® Brand fasteners!